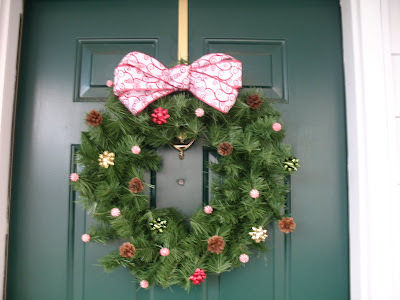 i love the bow...i still havent mastered making bows! that is way cute! I love it. I have one on the inside of my door and the outside, but I didn't make them. So you win.